We had great time going LIVE with some of our favorite girl bosses for National Business Women's Week! 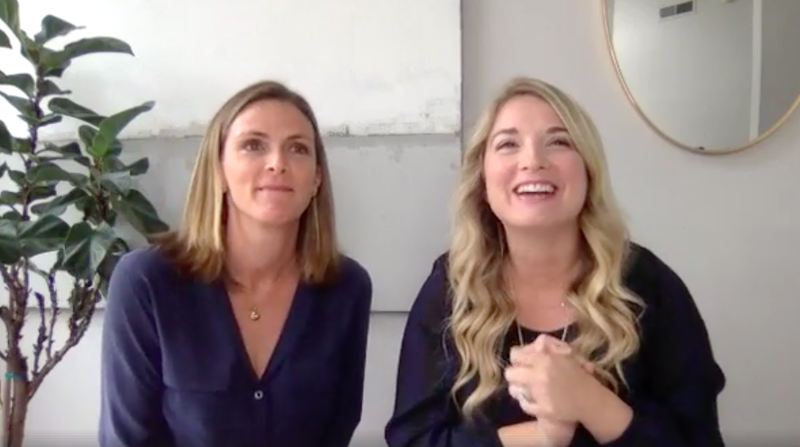 If you didn't have the chance to tune in with us live on Facebook and Instagram, we're recapping some of the best business tips and tricks we learned below. Work with the new Instagram algorithm by promoting bloggers that are similar to you and bring your followers to each other! Form Instagram engagement pods to share information and create an online support system. Spread the love! If you’re following someone that you’re inspired by let them know by double tapping or leaving a comment. If you’re unsure of when it’s time to take the jump and quit your current job to start your dream job - don’t rush. Start by slowly cutting down the days at your current job. See Liz's favorite podcasts in her blog post here. Watch the full replay and hear more of Liz's tips here! Small businesses should take advantage of videos because they can be very powerful for showcasing quality work that may have gone unnoticed. Videos allow you to visually and audibly tell a story in a way that viewers can feel the emotion and authenticity behind a business or product. Hiring a videographer can bring clarity to what your story is and who you’re targeting because they can bring insights that you may not see in your own business. Watch the full replay and hear more of Elizabeth's tips HERE! Always ask permission before using someone elses photos and give credit! Find the light because photography is all about how to manipulate light (natural light is the best). Make sure you’re always cleaning your iPhone lens before shooting photos because oils collect and reflect off the light. Make a home studio by purchasing a foam board from your local art store to flat lay products on. Watch the full replay and hear more of Sirena's tips HERE! Use Instagram as a pre-launch marketing tool for your new business or product. Be strategic when naming your businesses / use Tess to search already created trademarks . Keep your Instagram feed aesthetically pleasing and cohesive with your brand! Watch the full replay and hear more of Katie's tips here! Thank you again for tuning in with us during National Business Women's week! We hope you found these tips as helpful as we did. Shout out to to all the girl bosses out there! Who would you like to see us go LIVE with next?! What topic would you like to hear more about?! Content Planning - December "Days"
Going LIVE for National Business Women's Week!